Twice a year, 150 anxious recruits gather at SAS headquarters in the UK, their minds focused on one objective: to become SAS soldiers in one of the world's most elite regiments. Yet between arriving and receiving the famous winged dagger badge, stands nearly four months of the toughest military selection process in the world. Could you rise to this exceptional challenge of mind and body? 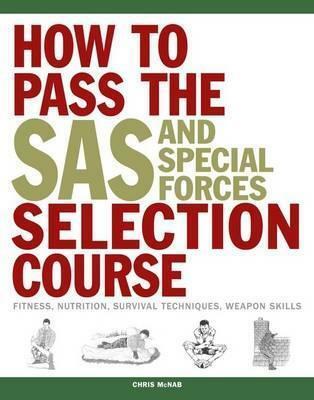 How to Pass the SAS and Special Forces Selection Course shows you how. Beginning with essential preparation, the book covers fitness training, navigation skills and the four-week selection course itself. Find out how to keep the instructors happy, how to deal with exhaustion during Test Week, and how to survive disaster strike on bleak mountains. But having been selected, there's still training. Learn how the recruits acquire the skills of an SAS soldier, from hostage rescue to handling foreign weapons, from parachute training to surviving jungle courses, from escape and evasion to resistance and interrogation. Illustrated with black-and-white photographs and instructive artworks and including first-hand accounts, How to Pass the SAS and Special Forces Selection Course is an exhaustive, lively guide to the process of becoming one of the world's best soldiers.